If you feel challenged by Facebook marketing these days, you should know you’re not alone. In an increasingly crowded news feed, Facebook’s algorithm updates can make it tough for brands to get much notice. In fact, brands are now responding to plunging organic reach on Facebook by posting more content to Instagram than they are to Facebook, according to a report by research firm L2. But don’t despair; there’s plenty of life left in Facebook yet. We’ve been scouring the web to find out what’s working on Facebook right now—all the tactics, new additions and post types you need to know today. Here are 12 top tactics to take a look at adding to your Facebook marketing toolbox. 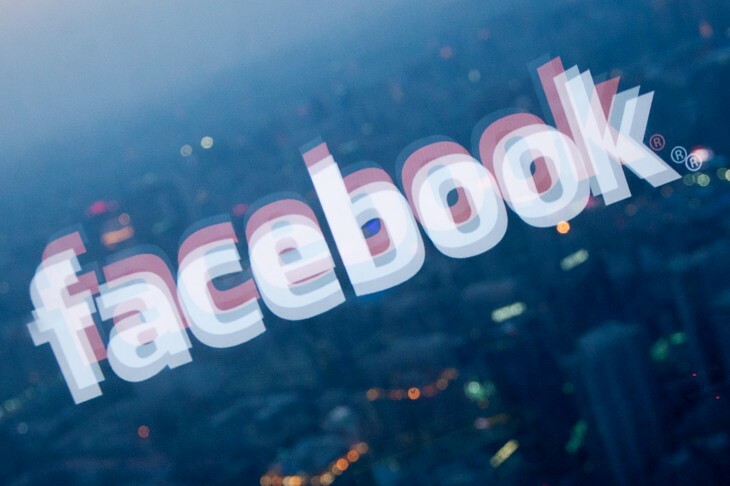 Our Number One strategy for your Facebook marketing right now? Video. “Let’s talk about video: Facebook is absolutely taking traffic from Youtube right now with video. Since then, even more evidence of video’s prowess has emerged. 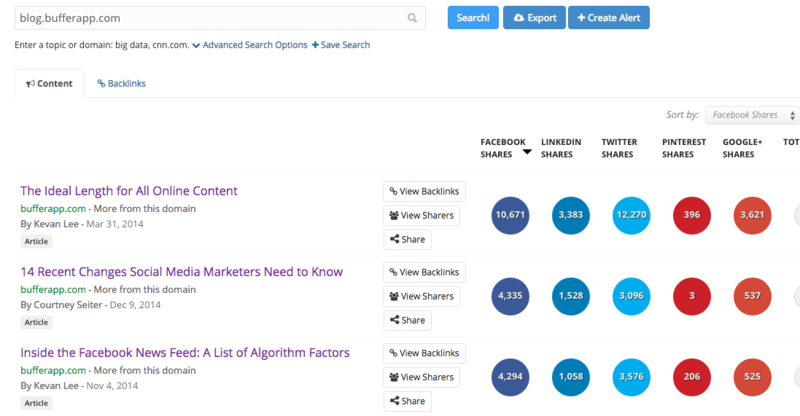 Social media analytics company Socialbakers looked at more than 670,000 posts by 4,445 brand pages to find that video posts had organic reach of 8.71 percent, far higher than text-only statuses’ 5.77 percent, link posts’ 5.29 percent and photo posts’ 3.73 percent. Here at Buffer, we’ve seen the video effect firsthand. 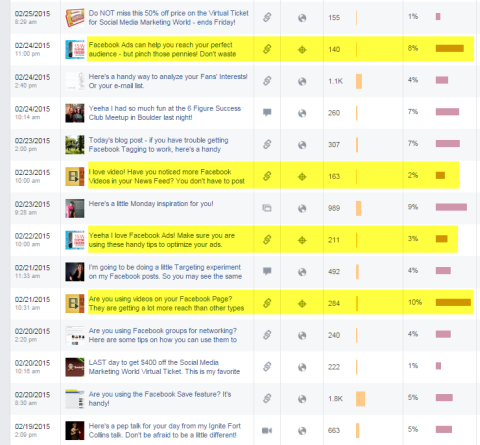 Notice anything about the two posts from our Facebook Insights with the highest reach and interactions? Both videos! Choose a featured video: Facebook allows you to pick one featured video that gets a prominent place on your Page. 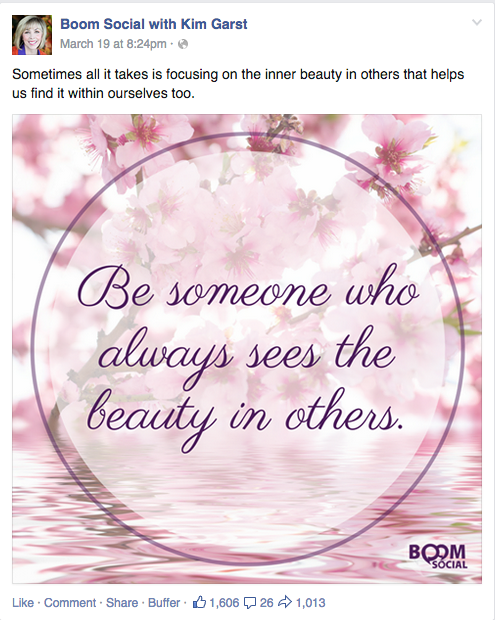 “People love inspirational quotes that motivate them or elicit a particular emotion, which in turn can lead to post interaction, especially shares. At Buffer, we believe so strongly in the future of social media images like these that we created a new tool to help you make them quickly and easily. We’ve also written about lots of other image-making tools so you can be sure to find the best one for you. Note that there’s some evidence that posting photos to Facebook might not be the best strategy right now, so your mileage with this tactic could vary. If Facebook is limiting your posts to a smaller audience, why not make sure it’s exactly the audience you have in mind? Targeting was once more of an ads feature, but since Facebook has rolled out new tools for publishers, more brands seem to be experimenting with targeting audiences for even organic posts. The authors at SME concluded that this tactic seems to have potential particularly for smaller pages. Jon Loomer has quite an in-depth guide if you’re interested in diving into this topic at length. Late in 2014, Facebook introduced a call-to-action button designed to bring a business’s most important objective to the forefront of its Facebook presence. For visitors landing on your page for the first time, make sure you make the most of this addition and add the most appropriate CTA available. Dark posting on Facebook is publishing a post that does not appear on your page’s timeline. Instead, these posts are targeted to a select audience of your choosing. Why might this be helpful? Split testing is one great use of dark posts. 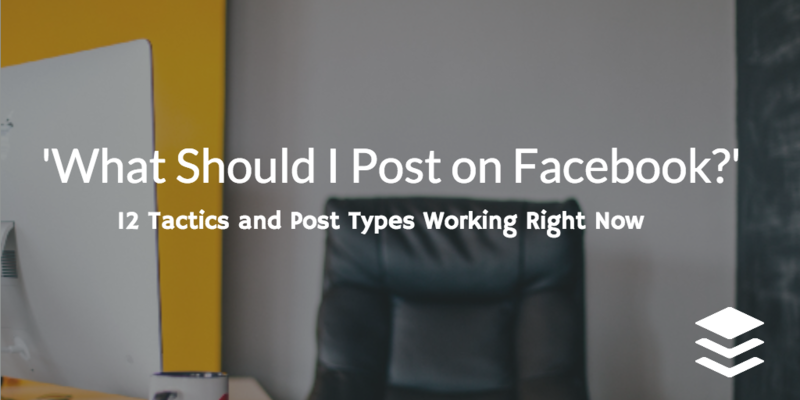 You can create three or four different variations of the same post, then send them out to see which type performs best (without flooding your timeline with each and every variation). 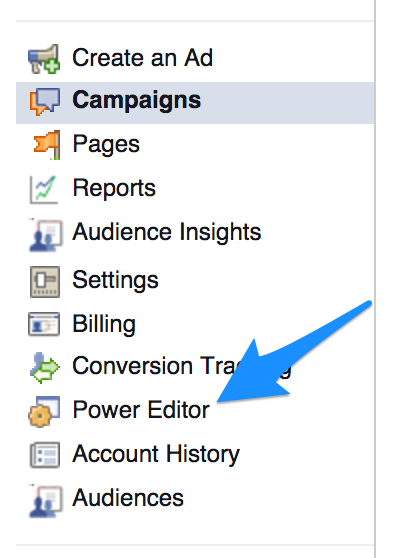 From here, you’ll want to click Download to Power Editor at the top of the page to download the accounts you want to manage. Strata Blue has put together a list of very detailed instructions on where to go from here in order to build your dark posts. You can follow their instructions to try this out. A recent Moz whiteboard Friday focused on the topic of driving traffic from Facebook and included lots of solid tips from Buffer pal Rand Fishkin. Another no-nonsense tactic to counter lowered Facebook reach is to simply up your posting frequency. Writing on Social Fresh, Dennis Yu observed that overall, total interactions per day on Facebook increase linearly with posts per day. Dennis notes that some pages post 30-40 times per day and get less negative feedback as a proportion of total engagement. If you’re able to keep a close eye on your Facebook Insights, why not try upping your Facebook frequency? As Facebook moves ever closer into real-time when it comes to Trending Topics, I find myself clicking on these newsy topics more and more often. And when I do, I notice that right below the details of whatever news item I’m checking out are more posts from others I’m connected to or even a few degrees away from. 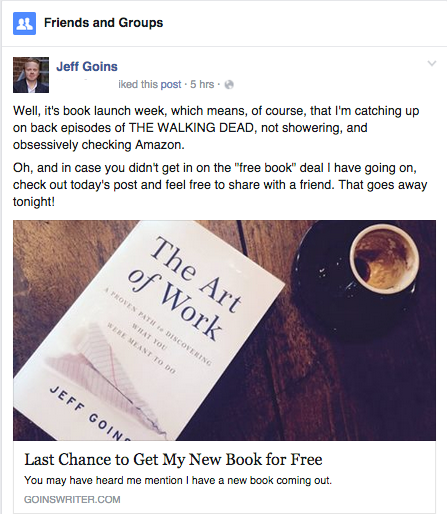 For example, checking out the latest news on “The Walking Dead” brought me this post from marketer (and future Buffer Social guest post author!) Jeff Goins. Jeff’s post is a great example of taking advantage of Trending Topics in a way that feels personal and organic, not spammy and forced. Could you something similar? Sometimes discovering what your audience didn’t like is one of your best strategies for making them happier with your content in the future. Facebook offers you these stats as a raw number; however it might be handy to think on this number as a ratio relative to your overall interactions as well. 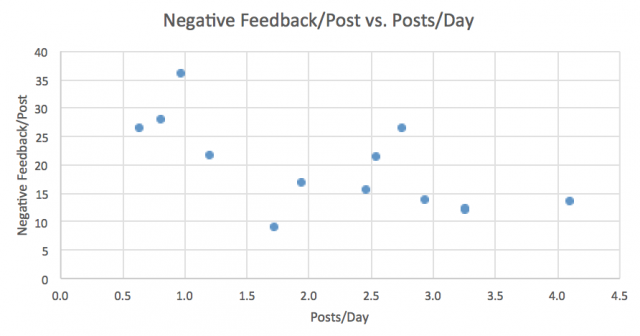 Studying negative feedback can help you better identify which types of posts your audience perceived as spam or chose to hide at a higher rate. Over time, you might discover patterns to help guide your post types, themes and language use. I thought I’d leave you with a few really creative examples. These two up-and-coming tactics may not be available to all of us right now, but they’re a good sign of where Facebook could be headed soon. 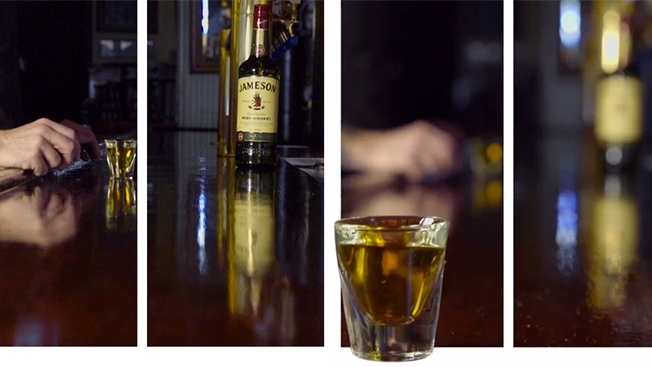 For Saint Patrick’s Day, Jameson promoted its whiskey with the first 3-D video Facebook ad—an attention-grabbing video of a shot glass skating across a bar. I happened to be targeted by this ad, and the autoplay of video plus the breaking of Facebook’s visual frame definitely caught my attention! Cinemagraphs — still photographs that incorporate subtle, looping video elements — could be another future eye-catcher on Facebook, taking utmost advantage of Facebook’s video autoplay. AdWeek reports that Facebook is banking big on the stylized GIFs as it introduces them to advertisers, and the Wall Street Journal notes that Heineken has been used cinemagraphs on Facebook for the past few months. Can you imagine using images like this in your marketing one day soon?